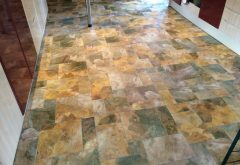 Stone Floor Cleaning You’ve Ever Seen… Or It’s FREE! Why Should You Trust Us With Your Stone Floor Cleaning? 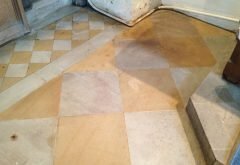 Absolutely Fabulous Stone Floor Cleaning and Restoration is your answer to great looking floors! 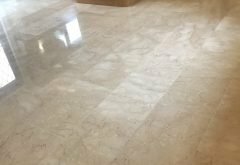 If you’re looking for a professional, courteous and trustworthy stone floor cleaning company, then you’ve come to the right place. 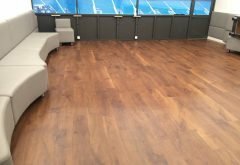 Founded by Darren and Tracy Curtis in 1989, we clean, polish, seal and restore domestic and commercial floors such as; marble, limestone, granite, travertine, terrazzo, flag stone, ceramic, porcelain, vinyl, Karndean, Amtico, polished concrete and grout using the most up to date cleaning and restoration systems. We offer you a polite, thorough and efficient service, with a 100% satisfaction guarantee. We are so confident you will be delighted with the results of our 12 step deep cleaning and restoration process, that we offer a 100% satisfaction guarantee. Which means, if you’re not delighted with your freshly cleaned and sealed stone, vinyl, tiles or grout, we will return and clean the area again for free. If you’re still not satisfied, we will happily refund your money, without question. It’s that simple. We are a local family business, your first point of contact by phone or email will usually be with Tracy, who will discuss your requirements and book a convenient time and date for a free quotation. 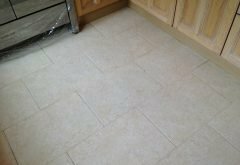 Darren will visit your home or business to survey your stone or vinyl floor tiles to be cleaned/restored/sealed, discuss any specific areas of concern (soiling, stains, scratches, etc.) and leave you with a comprehensive written quotation. 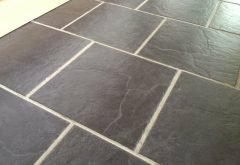 We understand the amount of time, effort and cost involved in selecting your stone, tile or vinyl flooring, which is why you want it carefully and considerately restored by people who care, people you can trust and people who will give you the confidence you have made the right decision. Over 5,000 clients have already chosen Absolutely Fabulous for their floor care needs. 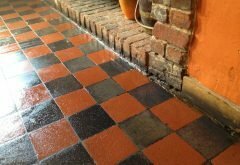 As one of the few natural stone floor cleaning and restoration companies in the UK who have invested in the most effective combination of the best industry training, state of the art equipment and decades of hands on experience to be able to professionally deal with every hard floor cleaning, restoration and sealing challenge. We can’t wait to get your stone floors looking brand, spanking new! 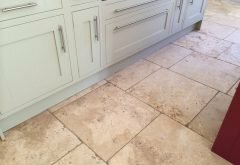 I had no idea our kitchen travertine tiles could come up so well – I actually think they look better than when they were first put down! Wow! what a difference Absolutely Fabulous have made to my marble tiled floor and even the grout is clean. They completely cleaned it, polished it and then sealed it. It really does look absolutely fabulous. Excellent work, cleaning and sealing our limestone floors. Very friendly and efficient and great advice. Could not have been better. Highly recommended. Catherine W - Virginia Water, Surrey. Registered Address: 25 Westwood Road, Tilehurst, Reading, Berkshire, RG31 5PL.